Our product range includes a wide range of cervical pillow, cervical collar hard adjustable, philadelphia cervical collar, boneless soft collar and soft cervical collar. 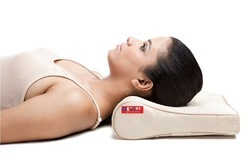 With sincere intentions to preserve and uplift our reputation in the market, we are offering a comprehensive assortment of quality proven Cervical Pillow that is designed by our experts using high-density Polyurethane foam and keep the neck in slightly hyperextension position. Soft velvet fabric cover of this pillow enhances comfort level for the patient. The offered pillow is available in universal size. Our rapidly growing organization is offering a wide and quality assured gamut of Cervical Collar Hard Adjustable to our clients from every nook & corner of the entire country. 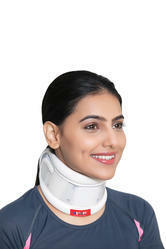 This cervical collar is available in small, medium, large and extra large sizes to choose from. 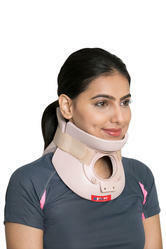 The offered cervical collar is broadly demanded in the market. This cervical collar provides rigid immobilization of cervical region. Being the leading names in the industry, we are offering an extensive range of Philadelphia Cervical Collar.This collar Philadelphia is accessible in small, medium and large sizes to meet the clients' all needs. Offered collar Philadelphia is designed using high-quality Ethafoam, preventing any type of rashes or skin allergy. 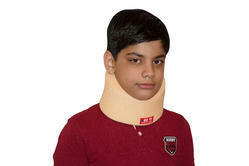 Pre-molded chin of this array provides adequate immobilization to the neck. We are offering Soft Cervical Collar to our client.